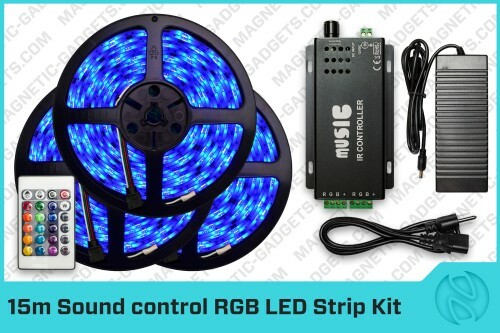 The RGB Sound Controller has 2 outputs. You can connect 2 strips (10m) on the left output and 1 strip (5m) on the right output and vice versa. You can't connect 3 strips together, the tension on the circuit will be too high and you will damage your strips.